Podcast/Book Recommendations: Overcoming Being Overwhelmed and Over Worked. Right now is a big time of transition for my girlfriend and I. We are about to close on our first Duplex (we are so super stoked); The Richmond Tour Guys is experimenting with charging for tours (this coming weekend is the first of that); and my girlfriend started a new job this week. Between all of this, making time for each other, and my full time gig; it’s easy to feel overwhelmed. For a week or so after we got back from our trip to the West Coast trip, I started really stressing and panicking. There was so much to do. Will paid tours be successful? What if I fail? What if I don’t make the flyers in time? What if I don’t have the tour script memorized? What if the Duplex which seems like an awesome deal from my due diligence, turns out not to be? What if I am not a good landlord? What if I’m neglecting my girlfriend? What if I’m losing connection with my friends and family? What if, what if, what if!?! Well, I decided after suffering these pangs of anxiety that I needed to stop worrying so much; but needed some tips on how to do (other than Buzzfeed posts). I was listening to an episode of Entrepreneur on Fire (Sorry JLD, I can’t remember which one) and one of the guests recommended “Don’t Sweat the Small Stuff (and it’s all small stuff)” by Richard Carlson. I bought the AudioBook and listened to it for the next few days repeating certain chapters that resonated with me. The book helped me put all this anxiety into perspective. I mean, I was overwhelming myself so much about what wasn’t getting done, that I paralyzed myself into inaction which created tons of inertia. The book said a some stuff that I already knew (being present, realizing that things aren’t that big of a deal, etc. ), but it’s sometimes necessary to have it hammered in again. Repetition is invaluable. I suppose the point of this is if you feel constantly overwhelmed, anxious, angry, etc: “Don’t Sweat the Small Stuff” is a must-read. It’s a good healthy dose of perspective. 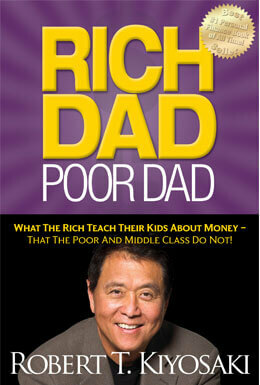 I finally read (well, listened to) Rich Dad, Poor Dad. I totally see why so many people refer this book. It is really mind blowing. As someone who’d always looked with interest upon getting passive income, this book greatly helps expand as to how to make that possible and reminds me of why I want to produce enough passive income to where dictate my lifestyle rather than trading my time for dollars. The biggest take away for me was to constantly be learning. I already do that, but the book made me realize that almost everything even if it’s not obviously an educational experience, is an opportunity to learn something; be it my day job, giving tours, or writing a blog post. After having my girlfriend listen, we decided to take our futures into our own hands and we are purchasing our first duplex. This book has changed the lives of a lot of people and it’s easy to see why. Get Rich Education With Kieth Weinhold: He is a successful real estate investor who pretty much gives away incredible information for free every week on his Podcast. Listening to it from the beginning is almost like an education series in that he builds off of earlier topics. He starts general with mindset and principles of ways to think about things, then gets into very specific details about tools and strategies. My mind has been expanded a lot since listening to his Podcast. As someone with a fledgling real estate portfolio, having someone give me this information weekly in digestible form is priceless. I’m still kind of waiting to see what the catch is. One thing is that he invests in Turn-Key real estate in Memphis, and gets $1,000 referral reward if people he refer use their services. Although, the company gives anybody who refers someone $1,000 so it’s not like they are a sponsor of the Podcast (that I know of). I am currently doing my own due diligence on this Turnkey Real Estate service. The other things I’ve discovered since my last post is a social network for real estate investors called Bigger Pockets. It’s completely free (although some extra features require membership; but it’s reasonably priced and totally worth it). It’s a way to connect with other real estate investors, both local and nationally. It also has a blog, a podcast, forums, calculators for flips and buy and holds, and a lot more. For the last month, my girlfriend and I have been in contract for a duplex and I posted questions on this forum and got answers. There is no way I’d be able to get these answers otherwise. People help you analyze deals, tell you about the market, help with land lording strategies, tax strategies, asset protection and even give advice on specific situations.You can also search the forum and the blogs and find a lot of your answers. The Buy and Hold calculator alone was worth paying for the Plus membership. I highly encourage anyone even remotely invested in real estate to sign up and get involved in this website; listening to the podcasts; and reading the blogs. I can’t stress how invaluable this resource has been for me over the past 2 months. My passion is guided historical walking tours, so I started my own tour company as side hustle. At the risk of sounding cocky, I'm a pretty darn good tour guide. We do regular weekly walking tours, as well as private tours. ....so come on the tour! Or at least check out my Richmond Blog!